The State Historic Preservation Office is responsible for overseeing the governmental program of historic preservation for Connecticut’s citizens. Originally established as the Connecticut Historical Commission in 1955, the agency was merged into the Commission on Culture & Tourism in 2003 and was renamed the Historic Preservation and Museum Division. The State Historic Preservation Office was again moved in 2011 into the Department of Economic and Community Development providing new opportunities for collaboration on restoration and community revitalization. SHPO administers a range of federal and state programs that identify, register and protect the buildings, sites, structures, districts and objects that comprise Connecticut's cultural heritage. ​The Connecticut Historic Preservation Office includes the offices of the Connecticut State Historic Preservation Officer (SHPO). SHPO administers a range of federal and state programs that identify, register and protect the buildings, sites, structures, districts and objects that comprise Connecticut's cultural heritage. We bring downtowns to life all across Connecticut by helping to revitalize them as the social and economic heart of the community. At the local level, we work with dedicated stakeholders including city employees, business owners and even volunteers to help them craft an inviting, vibrant downtown. At the state level, we advocate for programs and policies that advance the Main Street way of life. Developers and local municipal officials to review privately funded economic development projects, such as subdivisions, golf courses, shopping centers, etc., to determine their potential impact on cultural resources, and to make recommendations that help encourage preservation of archaeological sites. OSA also provides technical assistance to help municipal officials develop local laws to protect the cultural resources in their town. Native American communities to help identify and preserve sacred sites, including burial grounds, and to provide for proper handling of Native American skeletal remains, and to assist in reburials in keeping with native traditions. Avocational archaeologists, professional archaeologists, and academics to provide research tools and technical information concerning archaeological issues in Connecticut, and to serve as a clearinghouse for archaeological information in the State. Private non-profit organizations, such as land trusts and local historical organizations, to identify and help preserve cultural resources under their charge. Concerned private citizens to repond to questions about artifacts they have discovered, or potential cultural resources on their own property. ​The arts, historic preservation and tourism have tremendous value to us as individuals and to the state's economy. DECD's Offices of Culture and Tourism have resources to support growth in these key areas that enrich our lives in so many ways, and help define what it means to live--and have fun--in CT. The Office of Culture & Tourism strives to develop and enhance opportunities for collaboration, coordination and growth in the arts, historic preservation and tourism. The OCT operates as a grant making agency for state and federal funds and serves to market and promote the state to in-state and out of state residents. The OCT devotes its resources to serving Connecticut's cultural institutions and organization and individuals through funding, technical assistance, and promotion. The OCT works to enhance and preserve our historical and cultural resources and to strengthen our organizations and institutions to be economic contributors and to exist into the future. The Historic Preservation Council is established within the Department of Economic and Community Development (DECD) by state law. The Council....advises DECD on 16 critical historic preservation functions. -placing and maintaining suitable markers, memorials or monuments to designate places or sites of historical significance in Connecticut. In performing these functions, the Council relies on staff support from the State Historic Preservation Office. 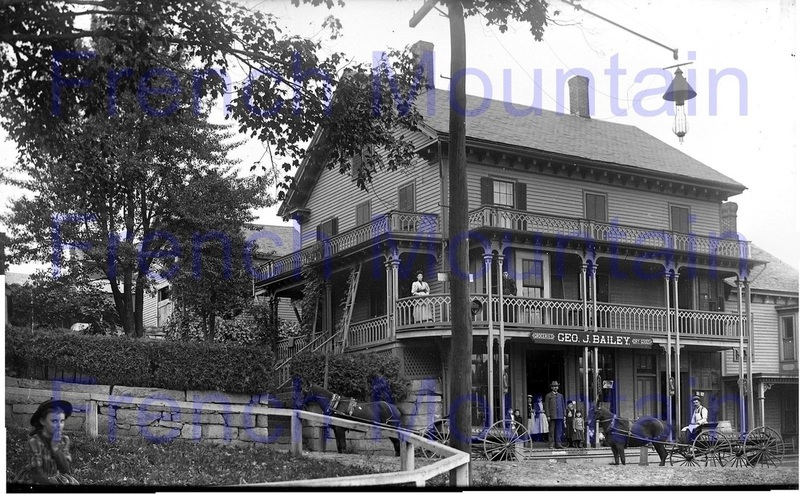 Image: Handsome residence above Mr. George Bailey's store. The two story gallery with elegantly thin posts along the store's front is unusual. Note the trellises along the side porch and the neat hedges along the stone wall. There is a weather shelter around the second floor doorway. I believe that the streetlight is an early arc-light. The child in the lower left corner appears to be an accidental guest in the photograph. Watertown, Connecticut area origin. From a glass negative. Private collection. ​Mission: The Connecticut Trust for Historic Preservation preserves, protects and promotes the buildings, sites, structures and landscapes that contribute to the heritage and vitality of Connecticut communities. 1- Historic preservation activity results in economic growth in Connecticut, through job creation and leveraging public and private investment. In FY 2013-14 CTHP awarded 50 grants  Totaling $580,002 in preservation planning, maintenance and repair projects,  Leveraging $747,276 in private investment  Creating approximately 163 jobs for project professionals, predominantly architects and structural engineers and additional jobs during the construction phase of projects.  Since November, 2013, staff working on the Making Places project that aims to stimulate redevelopment of industrial places in the state have visited over 40 mills to offer technical assistance and grants. 2- Historic places are preserved and used to enhance community character, safeguarding our cultural heritage. In FY 2013-2014, CTHP awarded $324,620 in Vibrant Communities Initiative (VCI) grants that are not matched but leverage major steps forward for preservation in the communities where the grants are awarded. 'The Connecticut Historical Society is a private, non-profit organization that serves as the official statewide historical society of Connecticut. ​The Fairfield Museum’s vision is to use history to strengthen community and shape its future. We believe that history is a powerful platform for examining and understanding the civic values and responsibilities of our democratic society. As a public forum for the process of shared discovery, we celebrate and cultivate the elements that create and bind community: complex stories from multiple points of view that explore the diverse legacies of our region. The Fairfield Museum and History Center believes in the power of history to inspire the imagination, stimulate thought and transform society. We connect people around the complex history of Fairfield and neighboring communities so that together we may shape a more informed future. Historic District Number 1 is geographically comprised of all areas of City except Stratfield Historic District. Chapter 2.98 of the City Charter details their duties. ​The Stratfield Historic District was established when a public hearing of all affected property owners was held on February 6, 1991 and a two thirds majority voted in favor of the district. The District is also listed on the National Register of Historic Places. '...Generations yet to come deserve to have some small measure of the material culture that preceded them. We do not protect only the beautiful, or the economically valuable, or the fashionable in style. We protect the entirety of the historical life of our community through a representative group of buildings and structures located in the three historic districts or individually designated as historic properties. Not all historic or significant buildings are listed in a Register or Inventory, nor are all of them in a Historic District. A building or group of buildings can be important to the character of a Norwalk neighborhood without having state or national recognition, but some buildings, structures, and groups of buildings have been recognized for their contribution to our history and their value to Norwalk and the nation. The 'Research & Reference Historic Preservation' division and the 'Art and Architecture' sections of the library website provide valuable checklists of preservation and architectural links. Acting on a charter reform mandate of 65% of Stamford voters in 2012, HNP assisted the Land Use Committee of the Board of Representatives to establish an unprecedented voice within City government charged with identifying and advising on historic resources. HNP worked to ensure that the ordinance provided a purview to review applications to zoning and for demolition permits consistent with the State Charter. Image: Photograph of the rendering by architect Patrick Keely for the design for the Church of St. Peter (Catholic), Danbury, Connecticut. The prolific Mr. Patrick Charles Keely was responsible for the design of several dozen Catholic churches and associated buildings across the eastern half of the United States as well as a number in Canada. 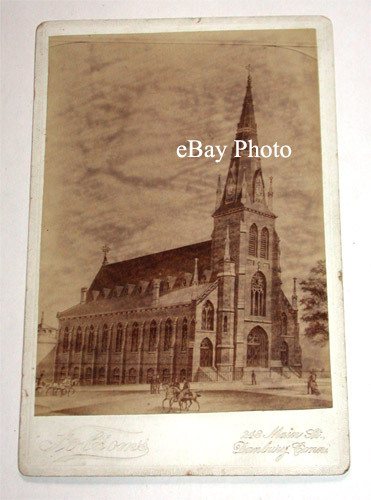 The cornerstone for this church was laid in August of 1870, The main Gothic revival church building was completed in December five years later. This handsome church stands today much as Mr. Keely designed it. Albumin photograph on a cabinet card (CC) of circa 1869-1875. Private collection. Hartford has two commissions that administer the City's historic preservation efforts, which meet jointly. The Historic Properties Commission's duties relate to the City's locally-designated historic properties and districts, while the Historic Preservation Commission's duties relate to properties and districts listed on the State Register of Historic Places and the National Register of Historic Places. Our mission is to revitalize the historic fabric of Hartford, connect us to our heritage and collaborate to impact community economic development by providing historic preservation and revitalization technical assistance, education and advocacy for those who live and work in Hartford. New Haven is rich in historic resources. These include a wide variety of historic residential neighborhoods and landmarks, both buildings and places. There are 17 National Register Historic Districts in the city and three Local Historic Districts. There are also 32 properties or sites on the National Register that are individually listed. In addition, approximately 4,000 properties have been identified in surveys conducted by the Connecticut Historical Commission as possibly being eligible for listing on the National Register. The three Local Historic Districts are Wooster Square (est. 1970), Quinnipiac River (est. 1978) and City Point (est. 2001). These districts contain 178, 241 and 123 properties respectively. A distinct residential architecture and a unique environment characterize all three. Alterations to building exteriors in Local Historic Districts are subject to a high level of oversight through the issuance of Certificates of Appropriateness by the Historic District Commission. The Commission also plays a central role in the creation of new local districts. We act as advocates for preservation issues throughout the city; provide preservation assistance and guidance for historic home owners, architects, planners and others; organize tours, lectures and other events to inform the community about New Haven's architectural resources; and work to inform the public about the importance of historic preservation in neighborhood stabilization and environmental sustainability. Current NHPT projects include a survey of New Haven's modernist structures (the first large-scale survey project in the city in more than 20 years!) 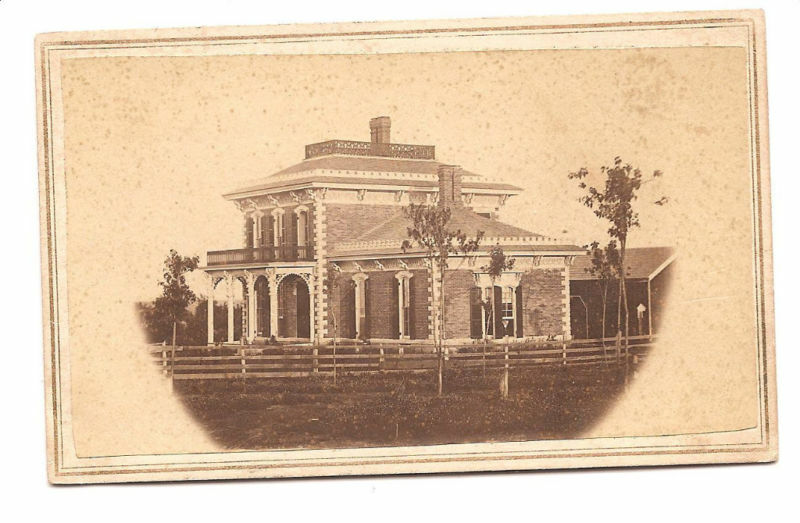 and an effort to make our extensive inventory of historic buildings available online. The New Haven Museum and Historical Society was founded in 1862 in New Haven, Connecticut for the purposes of preserving and presenting the region’s history. The past surrounds you here in the southeastern corner of Connecticut. HOURS Monday-Friday, 8:30 a.m. - 4:00 p.m. The mission of NLL is to promote the preservation and development of the urban environment of New London, Connecticut, including significant individual structures, streetscapes, neighborhoods, and open spaces. The NLL office at 49 Washington Street contains extensive files on all National Register Historic Districts and Individually Listed Sites in New London. Additional files are kept on individual structures, listed by street address. Historic and current photos files, newspaper clippings, maps and a variety of historic documents are included in the files. 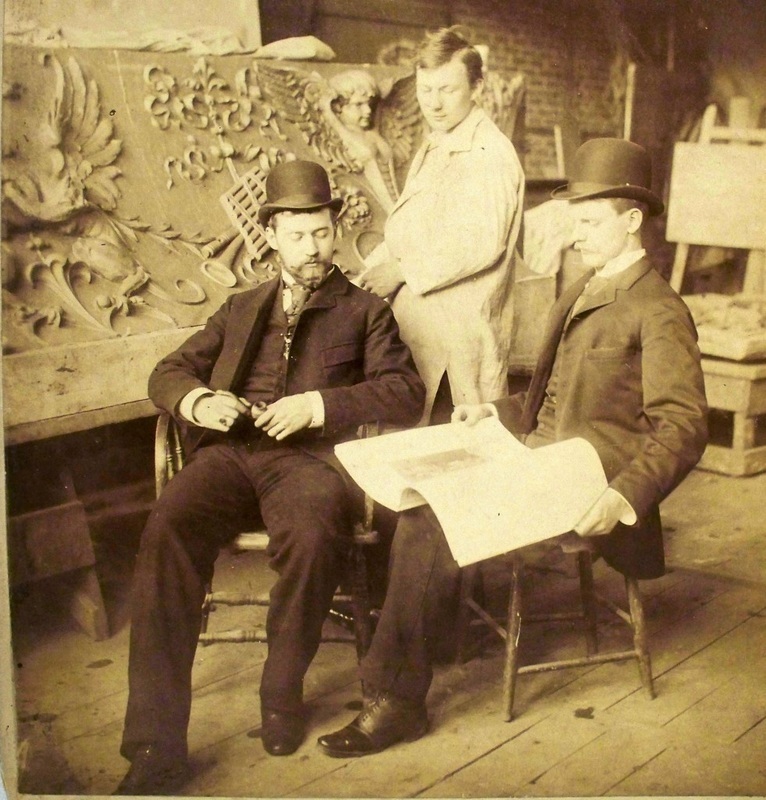 Image: Sculptors working on architectural panels, location unknown. Possibly designs for a turn of the twentieth century exhibit building. Acquired from a Storrs Mansfield, Connecticut dealer, Circa 1900, Albumin Imperial-sized Cabinet Card ​(CC). Private collection.